The key to having a healthy diet and actually sticking to it, is planning ahead. Meal planning is essential to this. While this may seem like a daunting task, it isn’t necessarily making meals for a month and freezing them or spending your whole Sunday cooking food to put in containers for the week. 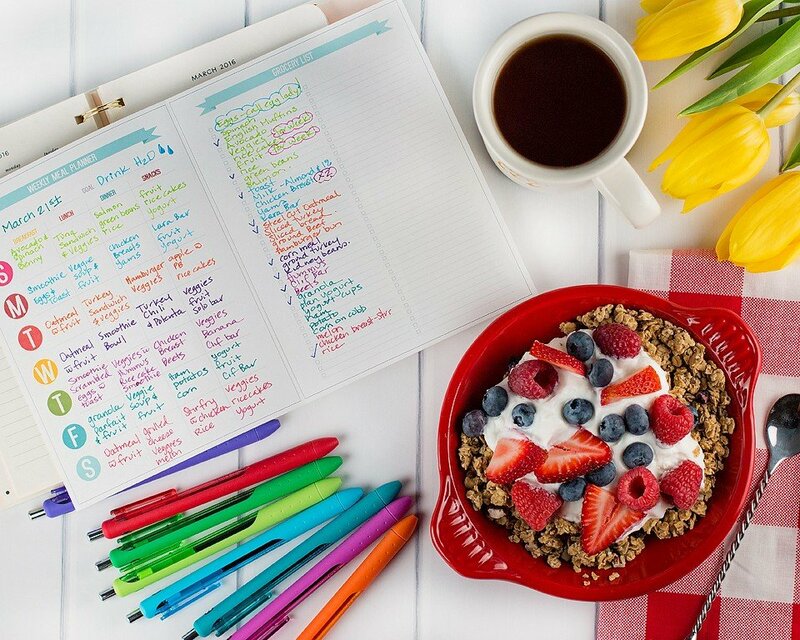 Meal planning is whatever works for you. 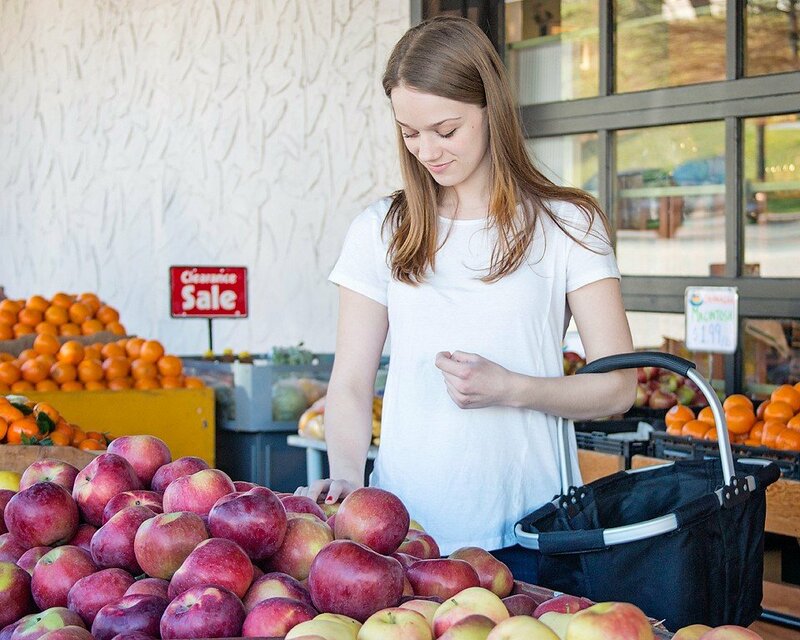 It can be planning to shop at the farmers’ market each day and picking up whatever looks good for dinner. 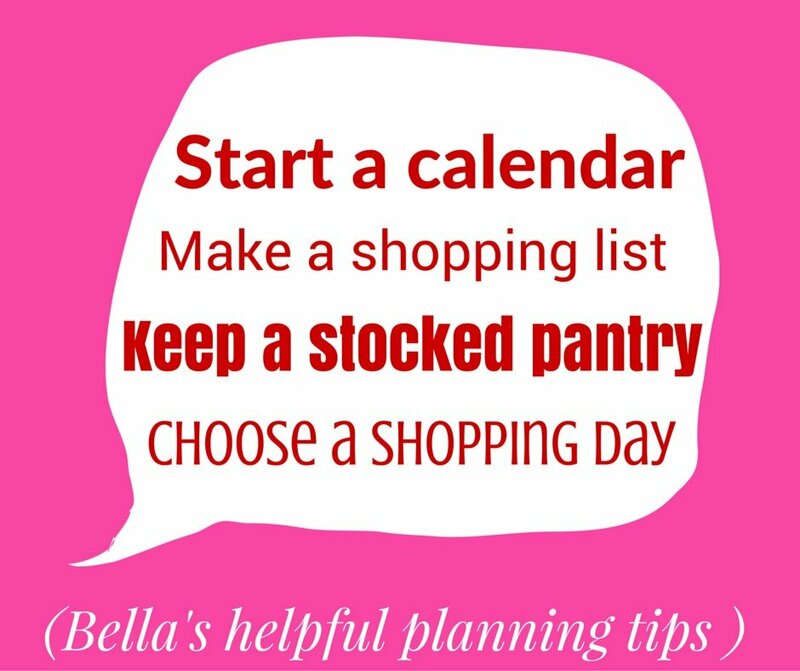 It can be planning for the week, making a shopping list and getting healthy snacks lined up ready to go. You can’t plan life, but you can plan dinner. And that’s even better in some ways. 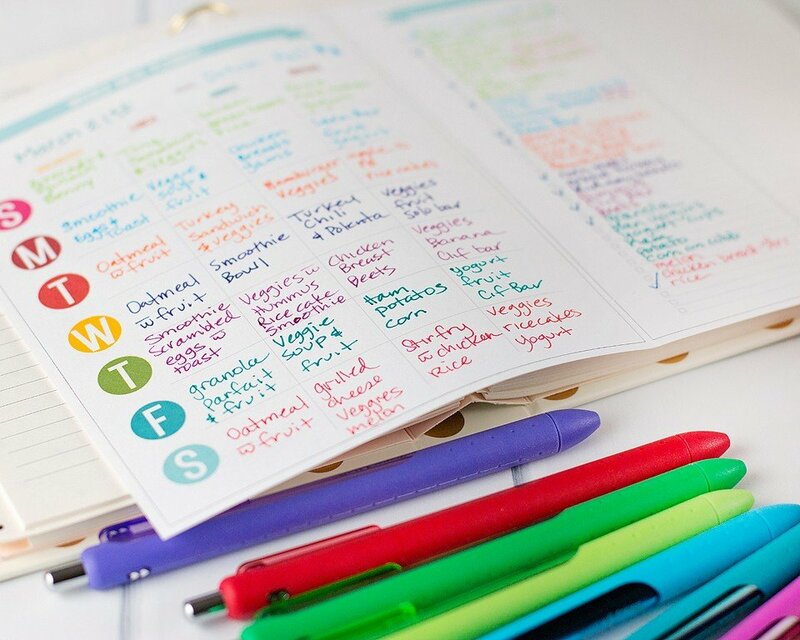 I have to confess; I am a planner addict. I love organizing and planning. As with most planner addicts, I am also a pen fanatic. You can’t plan without the right pen. Am I right? 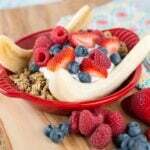 Today I want to share how I meal plan. Hopefully some of what I do can translate to something workable and enjoyable for you. As you know, I love using pen and paper to plan my days. I have tried apps for meal planning and even tracking what I eat, but I still prefer pen and paper. 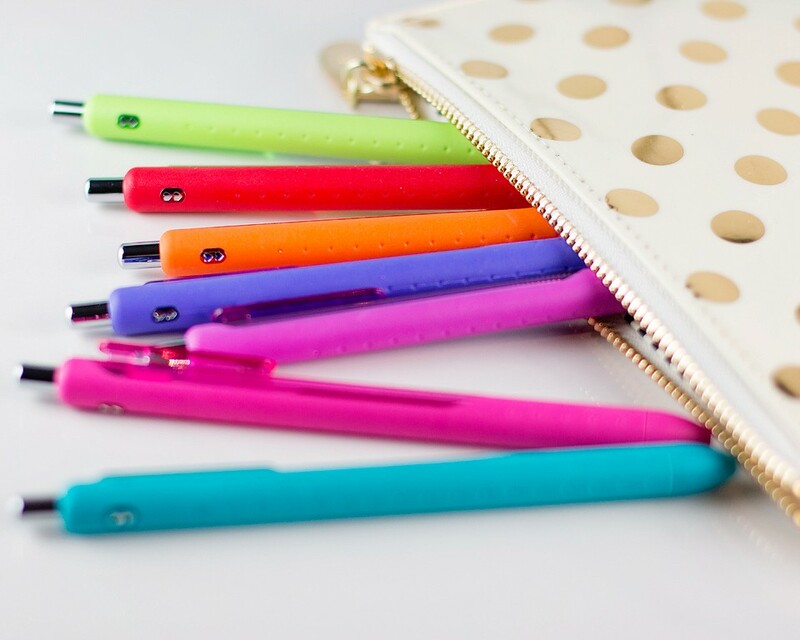 Colourful pens, like Paper Mate® InkJoy ® Gel pens work perfect for me. These pens come in 14 colours and have innovative gel ink that don’t smear like other gel pens. ❤ I love that! 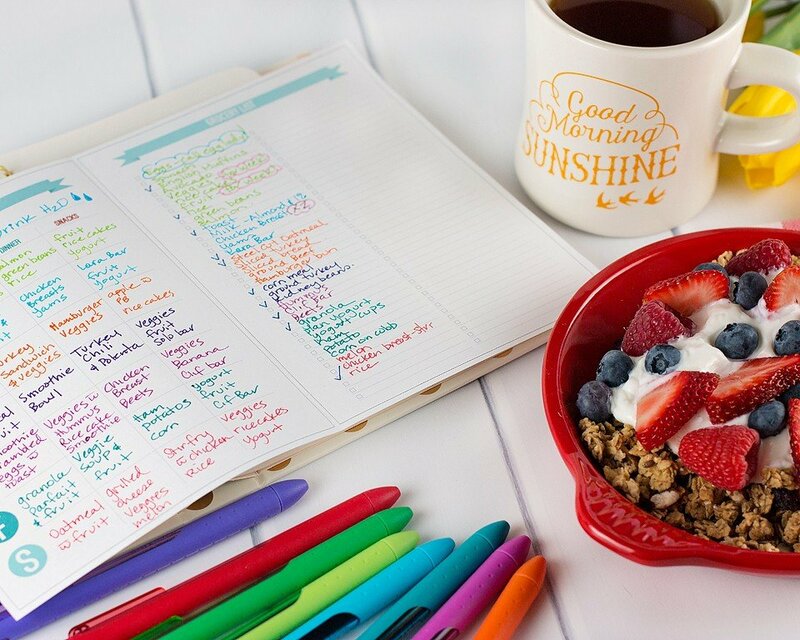 Make a shopping list for all the items that you will need for the meals you are planning. Each day (which will be in one colour) will have the shopping list items in that colour. This makes it easy to keep track of. After I am done my shopping list, I go ahead and check off the items that I already have in the pantry. Hopefully this will reduce your list significantly. I still like to write these items out, because it prompts me to check my stock, expiry dates, etc. If you keep a well stocked pantry, cooking in general is easier. Having the oils, baking supplies and spices on hand that you use regularly takes the unnecessary runs to the grocery store out of your meal preparation. I’m not on a diet. I’m eating healthy. I use several different kinds of containers for storing my food after it is prepped. 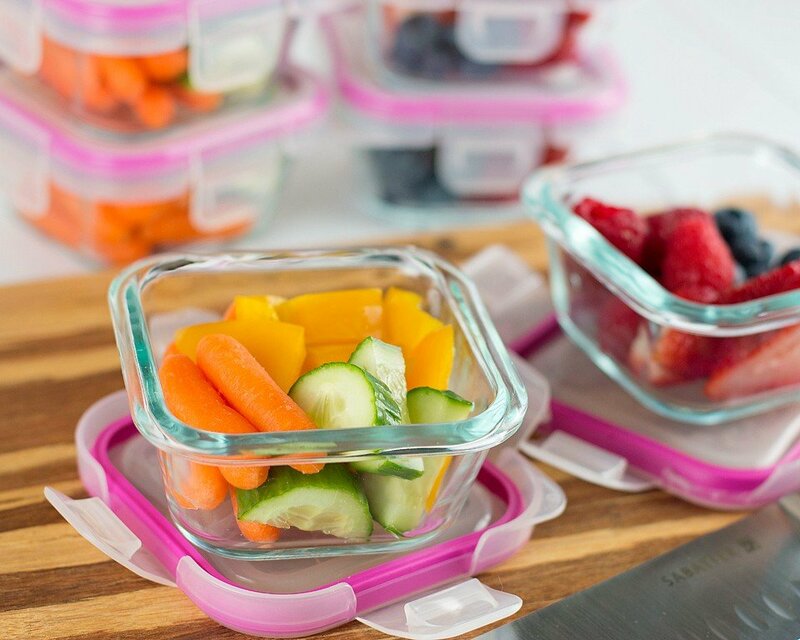 Find containers that you love and get enough so that you can prep for the week. I love glass containers but I find that for throwing in my backpack for school they sometimes break. If you are doing meal prepping, do it as soon as you get home from shopping. Cleaning and cutting your fruits and vegetables right away is how I manage to consume so much throughout the week. 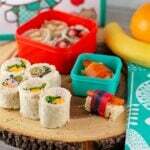 I pack up little containers with fruit and vegetables that I eat for lunch and snacks. Get as much of the cutting and cleaning done before you put your food away. This is a lifesaver! Pre-cooking should be done on your shopping and prepping day, too. I don’t prep full meals, so I don’t do a lot of pre-cooking. I do marinate some meats and I also make things like vegetable soup that I will use for lunches during the week. I usually make some muffins or a fruit loaf, too. Don’t stress if you deviate from your plan. ❤ Sometimes I will be running behind, get an invite out for dinner or just not feel like salmon that day so my plans need to change. Be flexible and realistic. Good luck with your meal planning! 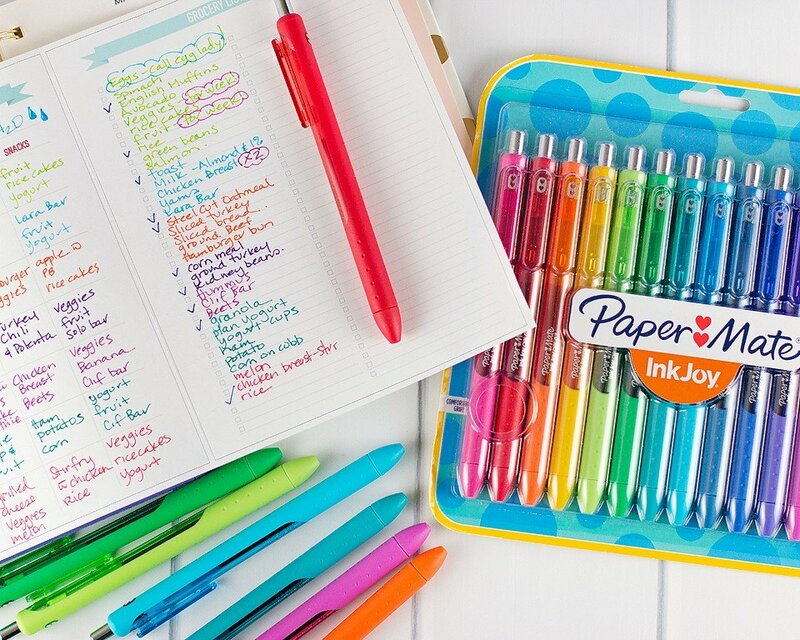 If you are like me, you will love how Paper Mate® InkJoy ® Gel pens bring joy to planning and organizing! 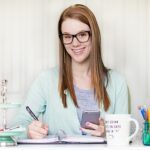 They are my favourite tool for staying on top of my busy schedule. Be sure to check out InkJoy Gel on Facebook and Twitter. When someone says “I forgot to eat,” I can’t relate. I plan my entire day around eating. I really started meal planning in high school. One (long and lonely) year my mom worked out of town and was only home two days a week. 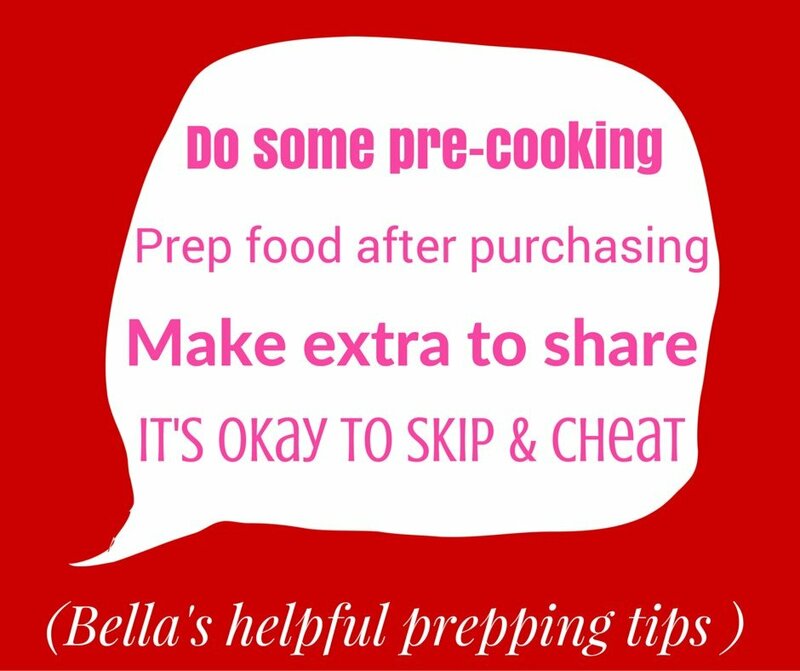 I stepped up to the plate and took on meal planning, shopping and cooking for the family. I didn’t mind because it is something that I enjoy! I can’t believe it is the end of March already. This month just flew by. Today is my last day of classes at school and I have exams over the next few weeks. I am looking forward to being done this semester and having some extra time to be with friends, work on the blog and sleep! 🙂 Have a great day!